Keith Claudius Mitchell (born 12 November 1946) is a Grenadian politician. 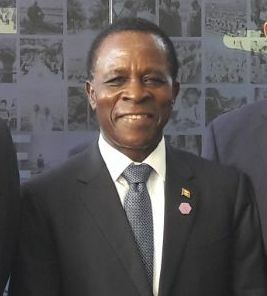 He became Prime Minister of Grenada in February 2013. He also served as Prime Minister from 1995 to 2008. He is the longest serving Prime Minister Grenada has ever had, holding the office for just over 13 years. ↑ "Statement on the citizenship status of former Prime Minister Keith Mitchell". Grenadian Connection. 2008-10-31. Retrieved 2012-05-29. ↑ Internal Revenue Service (2002-03-13). "Quarterly Publication of Individuals, Who Have Chosen to Expatriate, as Required by Section 6039G". Federal Register. Retrieved 2012-05-29.